Taking a tip from Mother Nature, a St. Francis Xavier University professor and a team of researchers in Sydney, Australia have come up with a non-toxic, super-slippery surface material with a wealth of possible marine applications. 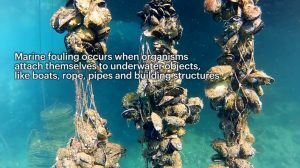 Chemist Truis Smith-Palmer said the “nanowrinkle” technology is intended to prevent the fouling of surfaces by invasive organisms, a problem that persists wherever ships and structures must be immersed in ocean waters. The team took inspiration from the pitcher plant, a carnivorous plant that traps and devours insects. The lip of the plant’s deep pitcher has tiny structures on its surface that are 100,000 times smaller that the width of a human hair, according to the University of Sydney. A thin layer of water on the structures makes for a super-slippery surface that insects can’t grasp. They fall into the pitcher and are digested inside. Smith-Palmer said the synthetic surfaces they created in the lab use polystyrene, Teflon and silicone oil. She said the material can be made to specific shapes and can also be transparent, meaning they could be used on underwater cameras or other applications where the surface needs light to pass through. The team, led by University of Sydney’s Chiara Neto, first tried them out using bacteria in the lab, then went on to expose test strips to the water of Sydney Harbour, where there’s a wide variety of organic things that can foul surfaces. Solving fouling on ships would reduce drag and fuel costs but Smith-Palmer said at present the size and expense challenges currently make their nanowrinkle surfaces a better fit in other marine industries like aquaculture. 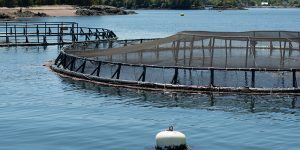 “The aquaculture industry has a lot of problems with fouling from organisms growing on the surfaces,” she said. Mussel and salmon farms use nets that get heavily fouled, leading to net breakage and product loss, she said. There’s also a lot of underwater sensors in use that would benefit from anti-fouling technology.